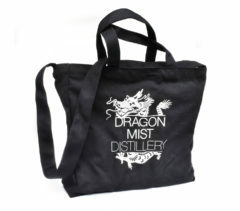 Purchase $180 or more on-line and get 10% off and free shipping! 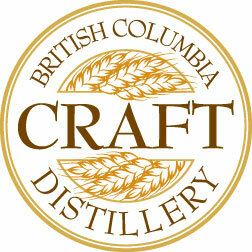 We are certified as a British Columbia Craft Distillery, which means all of our ingredients are sourced from British Columbia suppliers. 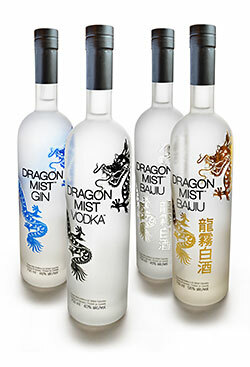 It also means our Dragon Mist spirits must be produced without adding neutral grain spirits from other sources. 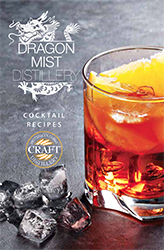 Our premium vodka and baijiu are made with wheat grown in Dawson Creek, British Columbia, and pure Canadian glacial water – that’s all. 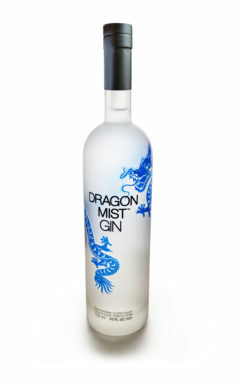 Our gin is made with the same fine ingredients plus west coast botanicals to impart the delicate gin flavour and aroma. And they are all certified gluten-free. 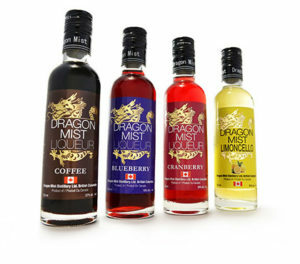 Our blueberry liqueur and coffee liqueurs were launched in the summer of 2015 and have quickly become new favourites. 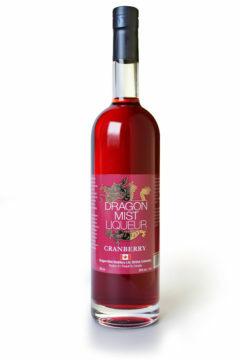 Try our delicious Cranberry Liqueur straight-up or in your next Cosmopolitan or Crantini. 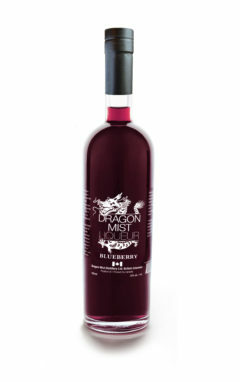 Just substitute this delicious liqueur in place of cranberry juice! 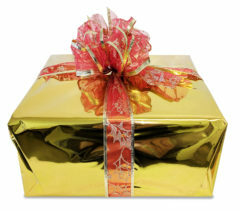 Lemon Drop fan? 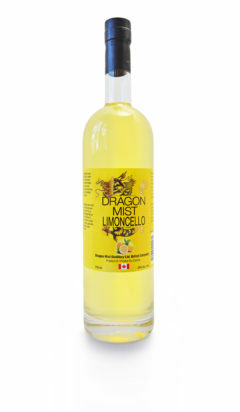 You need to try our new Limoncello liqueur. 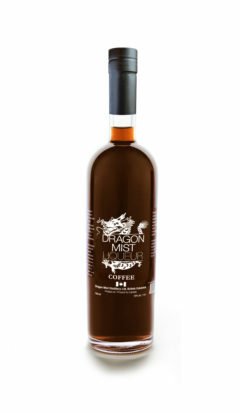 Great in cocktails, or drizzled over ice cream! 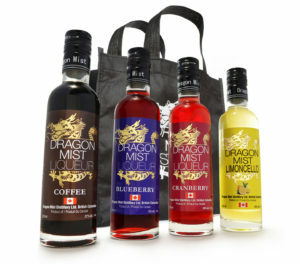 Fermented, distilled in and bottled at the Dragon Mist Distillery in South Surrey, British Columbia, our total annual production must be less than 50,000 litres. 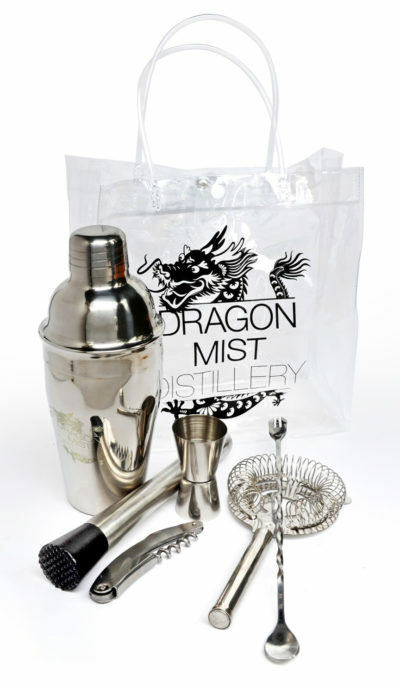 Our four-column distillation and triple filter process ensure the smoothest, most unique, small-batch, micro-distilled spirits available, with just a hint of sweet grain flavour and aroma. 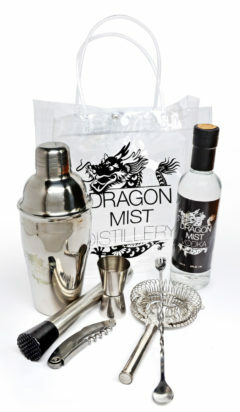 Neat, on the rocks, in cocktails, or an icy well-shaken martini, discover the pure, natural delight of Dragon Mist spirits. Read this great, informative article about baijiu from the Alchemist with a feature interview of our founder, Sherry Jiang.